Carl De Lucia Google Online Digital Marketing Services in Albany NY. A ‘Google Badged Partner’, who builds, optimizes and manages AdWords campaigns which become profitable business assets. My digital micro-agency blends the sophistication of a large-scale pay per click agency with the affinity of a boutique agency. “We didn’t know anything about Google when we started with Carl, but within a week or so we started getting leads through Google. Carl is an amazing resource for anybody looking to start advertising online .” – Barbara G – Herrschners Inc. 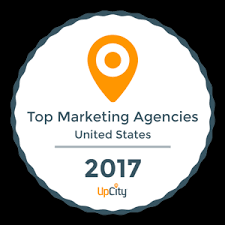 In 2018 I built, optimized, managed, and reported on over 50 PPC campaigns for clients and managed hundreds of thousands of clicks each day promoting goods and services across a broad range of vertical markets from tiny enterprises to large organizations. I’m Google AdWords and Google Analytics certified and work daily with Google’s support staff resolving AdWords campaign issues. My organic search engine optimization skills, tools, and techniques are strong. My SEO audits can identify work which will be most beneficial to boosting your rankings with the major search engines, and I can offer recommendations to enhance your social media presence. I use industry “best practices” augmented by artificial intelligence models to sculpt your PPC campaign into a profitable asset. Starting with a baseline and keyword research, I can mimic your leading competitors websites and extract the best keywords and paid search ad history to build the foundation to a successful campaign. – Have an optimized ad group structure. I am experienced in building new campaigns from the ground up. I can also improve your existing PPC marketing/remarketing campaign, to create enhanced campaign performance with more effective ad spend. If traffic is landing on your site but not completing the goal you’ve set, I can either tell you why and locate exactly where they are falling off. I can blend Google Analytics (GA) data to your Adwords, and setup Google remarketing campaigns to boost sales from visitors who have left your site. – Identify success metrics and isolate the key performance indicators for your campaign. – For existing, complex campaigns: conduct a thorough baseline campaign analysis. – Carefully determine the best Geo-targeting parameters and methods. – Keyword research using the best tools, Wordtracker, Google Analytics, SpyFU, & SEMRush. – Spider your leading competitors website(s) extracting keywords and ad history. – Structure your PPC ad groups to achieve high Google PPC ‘relevancy’. – Write great ‘creative ad copy’ in my AdWords text ad simulator; review with you. – Set ads up for tracking of goal completions via clicks and calls via Google tracking pixels. – Provide advice on landing page design optimization and A/B testing. – Use smart bidding strategies and creative quality score management. – Develop a strong, campaign-specific negative keyword list. – Once ads are live, enhance CTR’s via A/B split testing. – Set up audiences and remarketing, leveraging Google Analytics and Google AdWords data. – Monitor ‘search term vs keyword’ reports to harvest new keywords and enhance matching. – Configure marketing automation tools for your campaigns. – Make savvy use of analytics, pipeline reports, and enhanced device targeting. New York based and available by phone, text, or Skype . Get in touch to review your online marketing challenges.